I see you. Putting in extra hours, burning the candle at both ends. Working hard and giving 1000% but still feeling like you’re falling behind. You are not alone. Here at Pitch Deck Fire, we were on the verge of expanding when we started feeling the burn. We were laser-focused on our immediate, client-facing projects—but back-end issues like tech, timing, and workflow were getting to be a problem. Since then, we’ve found some root-cause issues that contributed to our headaches. We made it our mission to eliminate these obstacles, and implement the right systems to help us build (and maintain!) momentum. Sure, we still have challenges—but it’s easier to maintain momentum with these systems in place, even while dealing with all the natural setbacks that come with working in small teams. We’ve even used this approach with our strategic design clients, who need help fine-tuning their approach to fund-raising, sales, or marketing even before they go down the design path with us. So if you’re feeling that burnout, we have the solution. We’ve zeroed in on some key momentum-killers that can hinder your productivity and your business. These are the same methods for success used by our Strategic Design Team. Want to boost to your effectiveness? Then read on! Disparate tech is at the heart of a lot of productivity issues. Effective technology should be simple, intuitive, and seamless. The very best platforms include a high degree of integration between operational functions. Robust solutions are available, but it’s often impossible for one piece of tech meet all of your needs. The key is: plan ahead! Think through your plans for things like access management and long-term licensing fees. It will help you avoid logistical nightmares in situations like on-boarding new employees. Plus, you won’t get mired down by platforms that are cost-prohibitive or otherwise risky in the long term. An example: if your Google account login is integrated with all the software your team uses, it will make communication and coordination easier for your employees, your admins, and yourself. The main goal is to implement systems that fit the way you and your team do business. Pitch Deck Fire has a client portal, internal front end, storage, marketing, sales, and accounting all on different platforms—but it’s all integrated, so everyone can find everything easily, whether on mobile or desktop. If you’re tired of juggling multiple account logins, or sick of wasting time troubleshooting, then it’s time to reassess your tech environment as a whole.  One of our favorite quotes is often attributed to Abraham Lincoln: “Give me six hours to chop down a tree and I will spend the first four sharpening the axe.” At Pitch Deck Fire, we’ve become great at sharpening the axe. As we’ve grown, we’ve found that planning—and regularly reviewing and updating those plans—is crucial to success at any scale. It’s not easy, especially at first. It wasn’t easy for us! Out of two issues, lack of planning or lack of momentum, we would rather slack on the planning side of things. But we know that good planning helps us do great work (see #1 above). Even basic planning goes a long way toward preventing mistakes and messes down the line. For our clients, better planning means they have better design and better sales messaging to carry their brand forward. In fact, planning is a major part of any design we create. This is what we mean when we say we are business-minded designers. Planned approaches in sales, marketing, and delivery can really help to bring out the company’s story and value proposition. Planning helps any business really get to know their customers on an individual basis. Segments are the key to good marketing, and personal development is a great form of marketing planning, research, and execution all rolled into one. It’s often in the planning stages that we lay the groundwork for a successful product. So don’t forget to lift your head up every once in a while. Smell that fresh, strategic air. Take stock of your accomplishments; note what’s getting in your way. And sharpen that axe! What are your goals? What are your marketing and sales targets for this week? This year? Do you know what your conversion rate is, or how many people you should be meeting every week to achieve the growth your business needs? This is probably one of the biggest challenges that a business faces. And it can affect performance at the employee level as well as the organizational level. We bring clarity to this issue by starting with our goals across all our teams and departments. Then, we figure out how get from where we are to achieving—or even exceeding—our goals. We create specific metrics that we can track daily to see our progress in real time. This helps us understand our performance in relation to our overall goals, letting us know if we’re on track, or if we need to change our approach. Creating and tracking metrics are definitely challenging, but the rewards are well worth it. Once you’ve defined basic metrics around your core areas (sales, marketing, and delivery) you’ll be on the path to success. A communications plan—it’s nice idea, but who needs it, right? The fact is, you need it. You need to know what you’re communicating to your clients, your channel partners, and your employees. How do you organize meetings? How do you motivate others, and get them invested in your projects? How do you sell your product, and how do you market it? All these questions are answered by a robust communications plan. It is essential to ensuring that your company’s internal and external messages are heard and understood. Good planning is nothing without the ability to communicate that plan effectively to your clients and teams. Good technology is worthless without great adoption. And effective marketing and sales depend on a steady stream of two-way communication to get things done. Owners who communicate well tend to plan better and keep everyone on the same page, working towards the same common objectives. Does your company have a management communication plan in place? You should. Without strong, open communication between managers and delivery teams, leadership will start to splinter and become disconnected, disorganized, and ineffective in their efforts. To get started, ask yourself: What would your employees identify as blocks to their progress? Check in with them. Considering their feedback is the first step to ensuring good communication. Overall, having the right technology in place will make a huge difference with your company’s ability to optimize and work efficiently. Effective technology is first on our list because it is integral to all other points. Good tech should facilitate good planning, and allow you become great communicators across your channels. It will also play a huge role in how you define success and measure outcomes. Make sure your tech ecosystem supports your customers and your employees. Support might come with a learning curve, but overall the cost of learning the tools should be greatly outweighed by the benefit they are bringing to the company. Planning, building, teaching, and then integrating systems together to root out these core issues will help you keep some of the bigger challenges at bay. This will help you focus on sales and marketing efforts, and achieve that elusive momentum.